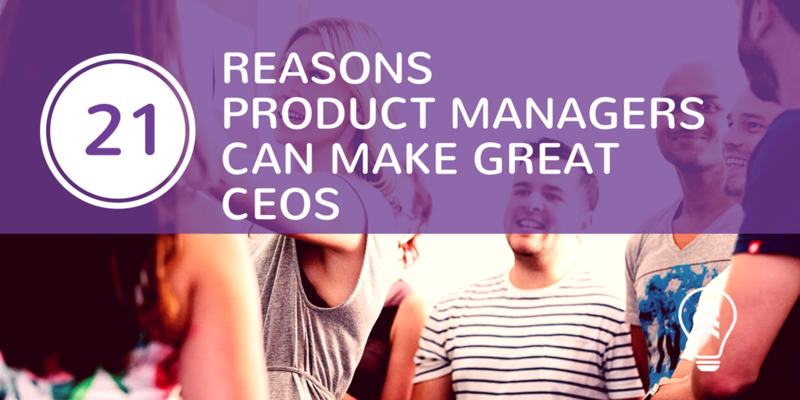 A great product manager isn’t just a product manager – they’re the CEO of their product. On any given day, a product manager needs to display a diverse range of skills and attributes which are normally associated with a high-flying CEO than the often-thankless role. Great at selling a vision; a strategy whiz; a leader; a domain expert; customer-driven; a data analytics ninja; a thought-leader; a research expert; a marketing guru; an influencer; keen negotiator; an able partner; a pricing expert; a business modeller; a crafter of engaging presentations; an engager; an agile development evangelical; a sales force; support; a user experience shepherd; and a software development practitioner. That’s all before lunch on most days. The sheer diversity of roles and responsibilities undertaken by the standard product manager makes it one of the toughest roles in a business. That’s because the real role of a product manager is to be a leader. The primary role of a product manager is to create a strong vision for their product, aligning this vision with the boarder company objectives. Everybody’s got an opinion on what a product should be – but a great product manager is able to sell a unifying message based off research, data and – let’s face it, some gut instinct. Teams need to understand what they’re doing and how this contributes to the health of the business. If they can’t join the dots, then you’re losing the opportunity for the teams to innovate. It’s why product managers play such a vital role in the success or failure of development teams. The most productive teams are the ones that really understand the problem that needs solving and what success looks like. They then break the work up into smaller chunks and continuously test and learn so they’re going in the right direction. A great product manager can bring the team on that journey, connect them with the customer and empower them to think outside the box. For example, solving the problem doesn’t always need to be solved by writing code. In fact, the most successful projects we’ve worked on included a solution which involved a combination of product, service, and support. The leadership role a great product manager takes on presents a unique set of issues – and opportunities for mistakes. One of the biggest temptations a product manager can make is to jump straight into how a problem presented to them is going to be solved. This can result in a feature list that loses the context of the problem. It’s an easy trap to fall into, because quite often the customer will jump into solution mode as well. For example, in the accounting world, bank feeds are a common feature which automates the data entry of transactions from the bank statement – but that wasn’t always the case. We heard from customers that they needed entry fields to be defaulted, tabbing orders changed, focus placed on a certain place on the screen so they could key transactions faster. If we had focused on implementing all those changes, rather than understanding the root problem then perhaps the huge time savings delivered through automated bank feeds would not exist. It’s about understanding the problem that needs to be solved, and linking the problem back to business objectives. “I want the account number on the expense screen defaulted” – why? “Because having to enter this every time is slow” – why? “Because I enter all transactions from the bank statement every day, taking hours” – why? “Because I need to complete my quarterly BAS”—why? This approach enables you to zero in on the real problem which in this case was the amount of time it is taking me to complete my BAS every quarter. Presented with this problem, the teams will think very differently about the solution. Linking back to the business objectives is critical – as it’s this linkage that helps create alignment and prioritises the identified problem. Much like a CEO, the real challenge for a product manager is how to sort and prioritise a huge list of potential problems which need solving. A good product manager needs to make sure the focus is on the thing that will make the biggest difference for the customer and at the same time achieve business objectives. Then it’s about making sure the rest of the organisation is aligned to those priorities. Before any problem can be prioritised you first need to prioritise the business objectives and then making sure that everyone is aligned to these priorities. Each idea can then be ranked against how it contributes to the high-level objectives. It’s how well a product manager can prioritise that dictates how easy or hard it is to get buy-in from the organisation. From that point, it’s about delivering the solution – but it shouldn’t end there. The hard truth is that no matter how much work you do upfront you will constantly learn more as you begin developing the solution. You want to ‘fail fast’, meaning you want to know if you are going in the wrong direction as early as possible and before you have invested too much development. If a product manager gets caught up in thinking that simply delivering the product features means the job is done, it can have unintended consequences. These can range from teams not understanding why they’re delivering a certain product through to creating a disconnect between the delivery teams and the customer. Invariably, a product manager’s job is only notionally about delivering product. It’s much more about understanding the problem, aligning several teams around it, understanding how the delivery contributes to the business and prioritising tasks. It’s why product managers aren’t product managers – they’re CEOs of their product. To meet some of the Product Managers from MYOB and share experiences make sure you book your ticket to this years Leading the Product Conference. You can find more details and book your ticket now. To read another story from MYOB Product Management then read on here. MYOB is a proud sponsor of the 2017 Leading the Product Conference.